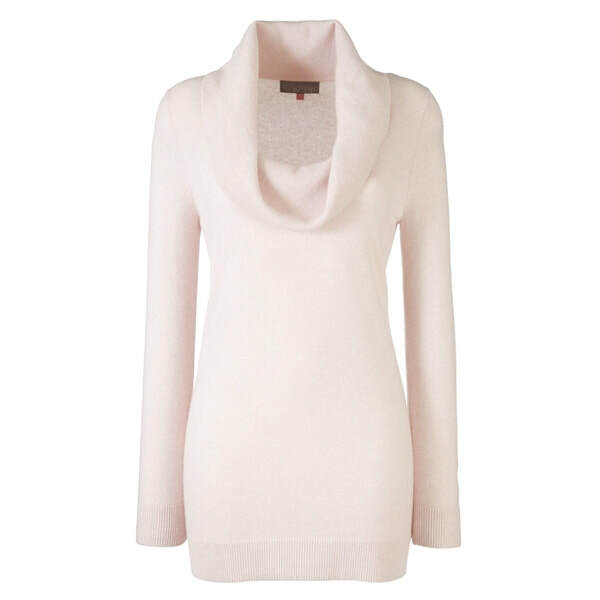 Kate Middleton was first seen in this tunic cowlneck sweater when she arrived at Clarence House on the eve of her wedding day. 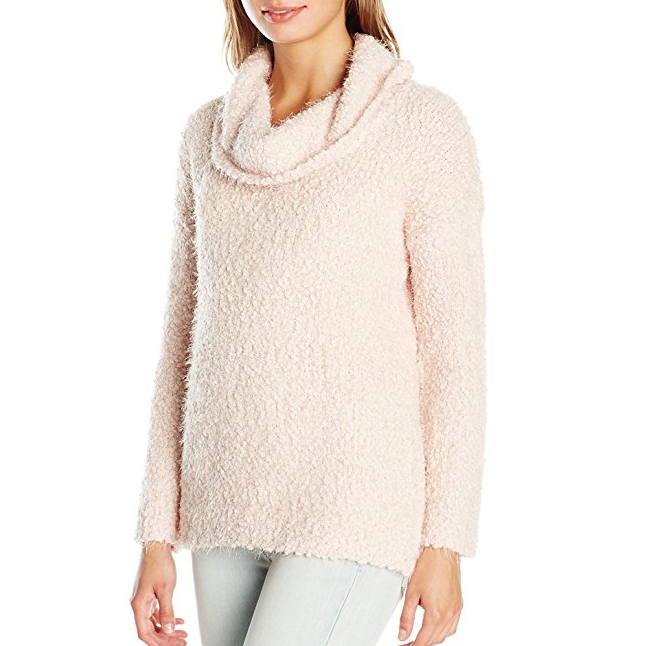 This 100% cashmere sweater is by John Lewis and features a feminine cowl neck and tunic length. 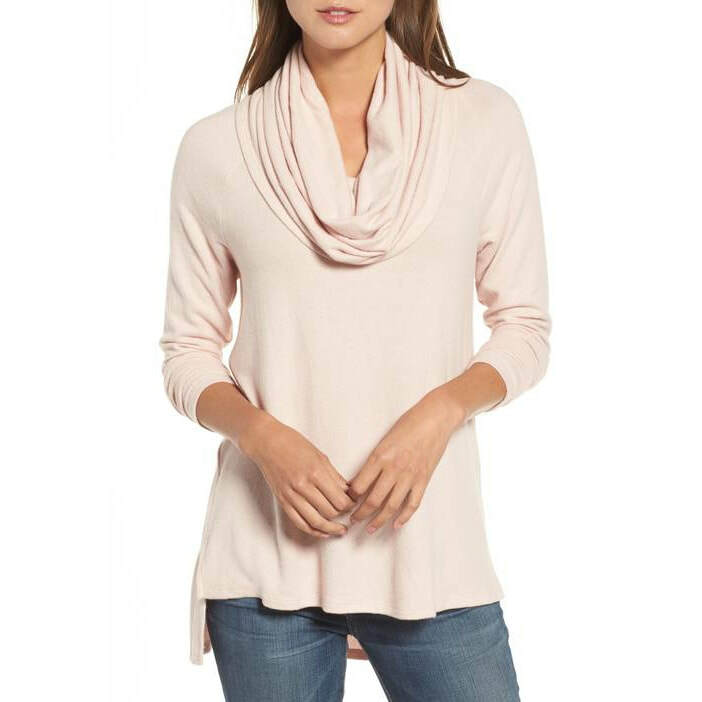 Kate owns it in Primrose pink.